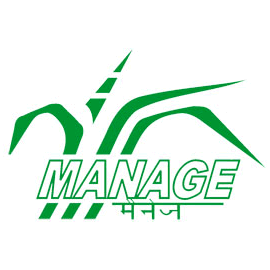 MANAGE Recruitment 2019: National Institute of Agricultural Extension Management (MANAGE) / www.manage.gov.in is conducting recruitment processes to fill 2 vacancies. As of now, there is one recruitment drive going on for Walk in for Consultant Posts. MANAGE Recruitment 2019 - Job notification for Consultant & Manager Posts in MANAGE, Hyderabad, Telangana. Applications are invited by National Institute of Agricultural Extension Management (MANAGE) on or before 21 Mar 2019 for 5 vacancies. MANAGE Recruitment 2019 - Job notification for Sports coach Post in MANAGE, Hyderabad, Telangana on Contract Basis. Applications are invited by National Institute of Agricultural Extension Management (MANAGE) on or before 20 Feb 2019 for 1 vacancy. MANAGE Recruitment 2019 - Walk in for Asst. Project Field Coordinator Posts in MANAGE, Telangana, Andhra Pradesh, Odisha, Chhattisgarh, Karnataka on Contract Basis. Candidates are invited by National Institute of Agricultural Extension Management (MANAGE) to attend walk-in-interview to be held on 21 Feb 2019 11:00 AM for 5 vacancies. MANAGE Recruitment 2019 - Job notification for Director (Agricultural Marketing) Post in MANAGE, Telangana on Direct Recruitment/ Deputation Basis. Applications are invited by National Institute of Agricultural Extension Management (MANAGE) on or before 19 Feb 2019 for 1 vacancy. MANAGE Recruitment 2019 - Job notification for Director (Monitoring & Evaluation) Post in MANAGE, Hyderabad, Telangana on Direct Recruitment. Applications are invited by National Institute of Agricultural Extension Management (MANAGE) on or before 19 Feb 2019 for 1 vacancy. MANAGE Recruitment 2019 - Job notification for Multi-Tasking Staff (MTS) Post in MANAGE, Hyderabad, Telangana on Direct Recruitment. Applications are invited by National Institute of Agricultural Extension Management (MANAGE) on or before 19 Jan 2019 for 1 vacancy. MANAGE Recruitment 2018 - Walk in for Cameraman & Technician Posts in MANAGE, Hyderabad, Telangana on Temporary Basis. Candidates are invited by National Institute of Agricultural Extension Management (MANAGE) to attend walk-in-interview to be held on 21 Dec 2018 10:00 AM for 2 vacancies. MANAGE Recruitment 2018 - Walk in for 15 Consultant, Manager & Other Posts in MANAGE, Rajendranagar, Hyderabad, Telangana on Contract Basis. Candidates are invited by National Institute of Agricultural Extension Management (MANAGE) to attend walk-in-interview to be held on 21 Dec 2018 from 10:00 AM for 15 vacancies. MANAGE Recruitment 2018 - Walk in for Programme Manager & Programme Executive Posts in MANAGE, Telangana. Candidates are invited by National Institute of Agricultural Extension Management (MANAGE) to attend walk-in-interview to be held on 12 Nov 2018 for 2 vacancies.